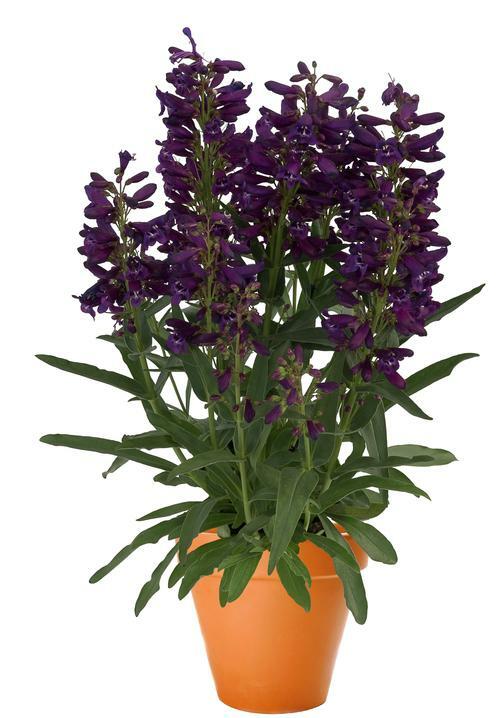 An upright clumping variety with large sturdy stems that are stacked with tubular dark purple flowers in summer, foliage is glossy and clean, a vigorous grower that is easy to grow, will bloom the first year. Long-blooming summer perennials with tubular flowers. Hummingbirds love these flowers. Plants require well-drained soil. They do not tolerate having wet feet over winter.